Many photographers may have found under the tree this holiday season a new digital camera. 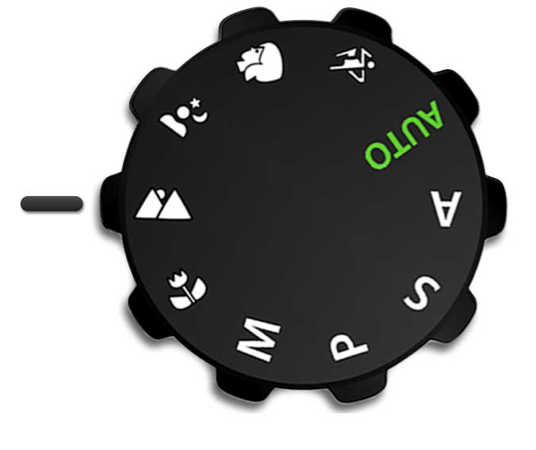 Whether it was a “point and shoot” or DSLR, the first thing you may have noticed was the camera dial has all sorts of letters and icons on it. 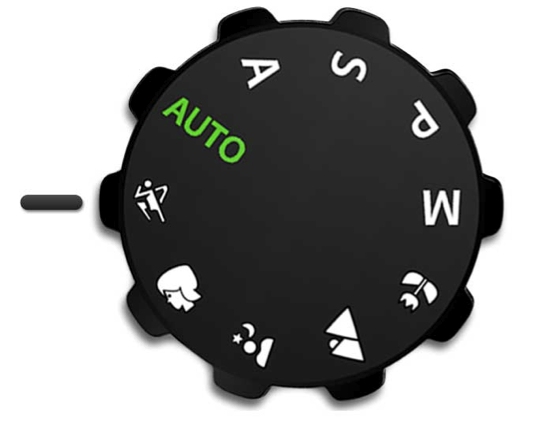 Of course, the one setting that made the most sense was the Auto, or ‘green,’ setting. This will look like a green square or a green camera that turns any camera into a full auto point and shoot. No worrying about lighting or movement, just aim it and push the button. This is a very useful setting when you want to get an image no matter what else is happening. However if you really want to have more control over the look of the image there are a few other settings that will give you that control but still are semi-automatic. Depending on what you are shooting, the camera can give your artistic soul more than a quick snapshot. 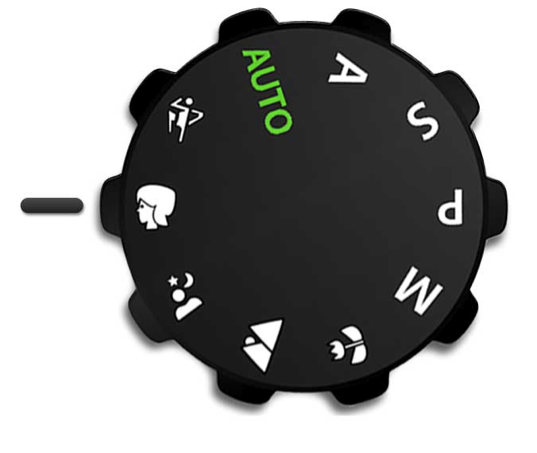 All of these will be on the side of the dial with the little icons or Program Mode so you won’t have to worry about too much tech stuff. The Camera has these Program Modes set up to add more control over special camera settings for things like sharper images or even a blurry background for that special look. The first icon we will look at is the one that looks like a couple of mountains with a little circle over them. This is called the Landscape Mode, which is a setting for taking those landscape shots of fields, meadows, mountains or the Grand Canyon. What happens when you turn the dial to this mode is the camera will think you want an image where everything is in focus. Those flowers in the foreground, that tree about thirty yards away and the mountains in the background. To do this, the camera will give you an F stop, or Aperture (in photography they are the same thing, just two different names), which allows for a large depth of field or area in focus. However: to do this, the camera will also slow down the shutter speed to allow more light to come in for a good exposure. This is because the F stop is controlled by an iris inside of the lens that makes a small hole which gives you that great depth of field. It is the same thing that happens when your eye’s iris closes to a very small hole in bright light. This smaller hole means less light comes in so the camera will use a slower shutter speed or allows the shutter to stay open longer for more light to come in. A slower shutter speed also means there could be camera shake. This is why you will see other photographers out taking landscape photos using a tripod. The tripod gives a very sturdy surface so there is no camera shake. If you don’t have a tripod handy, a fence post or even a handy rock or car will work. Some photographers sometimes carry a small beanbag in their camera bag. Just place it on a rough surface and put the camera on top of it so there will be no camera movement. 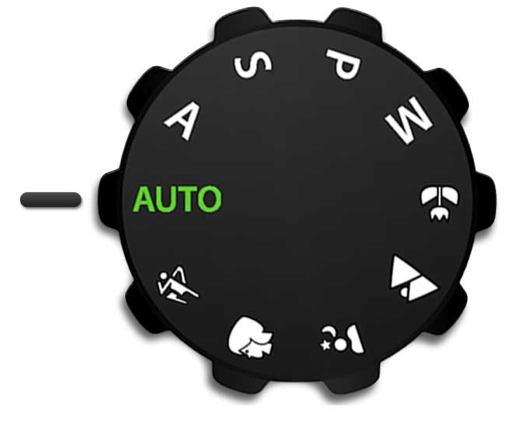 Another handy mode is called the Sports or Action setting. It will look like somebody running or dashing along. It is used for images that have a lot of movement in them like soccer, baseball, or football. If you have tried to capture your kid using the Auto mode you know that sometimes the shots will be burry. This is because the Auto mode doesn’t care if the subject is moving – only that you have a good exposure. Depending on how much light is out there, the camera might think a slower shutter speed is needed for a good exposure. This Sport or Action mode makes the camera use a faster shutter speed and change something else for the good exposure. The results are sharper action shots plus because of the faster shutter speed you are able to hold the camera and not worry about a tripod. The last mode I will share with you is the one with the person’s head, or Portrait Mode. One of the reasons we have cameras are so we can make pictures of those we love. What happens is sometimes when we take these pictures there is so much going on all around and behind them that we can’t see their faces clearly. This mode allows us to focus on the person but can make the background blurry so all the attention is on our subject. It does this with the F Stop but instead of a large depth of field it gives a very shallow depth of field or area of focus. There is trick to make this work. You will need to fill the frame with your subject so you see them from just over their head to their belt buckle or bottom of the ribcage. It is best if you zoom your lens in to do this, as it will make the background even blurrier. If you try to get whole person from the top of the head to their shoes then you may not see the blurry background effect. So, while there are many more settings on that dial, these are just the few that will allow you get even better photos from your shiny, new digital camera. Our camera classes can show you what those other settings mean and how to get complete control over that new camera. 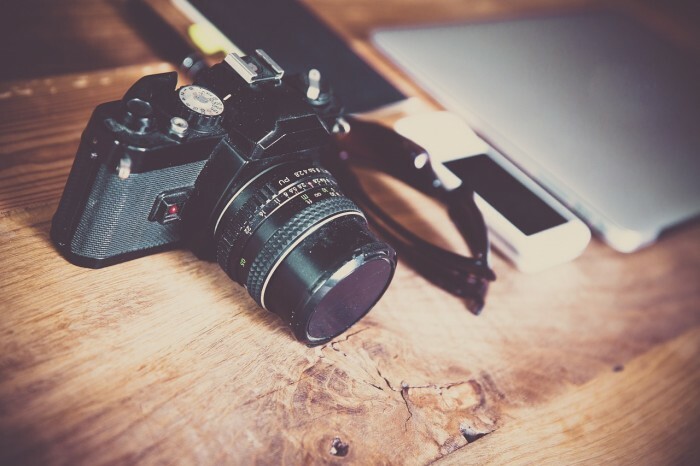 Register for one of our Digital Photography courses today!